Looking to Buy a boxster, probably an 03 or 04 manual, I've read lots of threads on IMS on other issues(BTW, great bunch of guys/gals here, very helpful and informative). As I look for a car I find a lot of higher mileage cars, relatively(60-100k) that the owners(even PCA ads) have remarked new clutch, but no mention of IMS. To me it would seem prudent to have the IMS done if your in there for the clutch. Maybe I read too much and am now a nervous-nelly! Im also cross-shopping Z4, since I've been driving and working on BMWs for that last ~25 years. But I'd really like to buy a boxster, mostly based on the positive driving experiences expressed in this forum. Any thoughts/insight is most appreciated! If you've read lots of threads on IMS you've probably gotten a feel for the issue and the vastness of the range of opinions about it, ie to do, or not do, the IMS. It all depends on how risk averse you inherently are. Me? I've got an '01 S that I picked up with 19k miles (in 2006) and finally decided to put a clutch in (even though I was experiencing no slippage--turns out it was in fact getting VERY close to due) last September with 81k miles. "While they were there" I had them do the IMS. There are probably some owners out there who do not participate in internet forums and take their car to the dealership for maintenance. I can imagine that such people can just drive their cars happily with no worry, or even knowledge of what an IMS bearing is. I don't think that Porsche officially recommends any replacement of the IMS bearing. IMHO, buying an '03 or '04, have a good 986 knowledgeable mechanic do your PPI to check for signs of a problem. After you buy a car, have the IMS bearing replaced at your convenience if it has not been done. If you find that driving on an original or unknown IMS detracts from your enjoyment, get it done immediately upon purchase. I'd love to get my hands on that equipment. No doubt, that would certainly make the car buying process a hell of a lot easier. I'm at the point of factoring 3k in Ims, rms, clutch. So I'm targeting cars with 60k-100k, otherwise I ( and others) could target lower miles examples without concern. 71 240z; 76 280z; 84 300zx; 88 300zx; 94 325is coupe; 94 530i; 2006 325i sedan(auto); 2012 328i; 2015 428gc(current); 20xx Boxster (TBD)! My advise isn’t going to be popular on the forum. I love my Boxster and wouldn’t trade it for a BMW. But if I were in your shoes I would go with what I know and get a BMW. 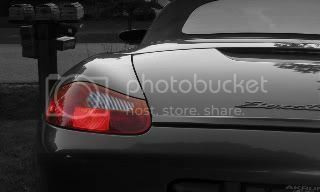 And… If you purchase a Boxster I say blow the guts out of it and put the IMS at the back of your mind. Just saying what I would do. To be very honest, I shopped the Z4 before purchasing the Boxster and the handling and performance were nowhere near the Boxster. The Z4 felt heavy and long and because the engine is in the front, that hood is looong and definitely gave a harsh ride. The next day I test drove my current Box and the ride was just smooth, not bouncy nor harsh, nimble, responsive, and I just felt the box hugged the road. I also felt the interior cradled me in more comfortably. I had a PPI done on my car and the only thing they found were some paint defects, oil leak by the bell housing, a non functional cigarette lighter, and that was it. As my 2004 only had 52k miles on it, I really didn't HAVE to replace the IMS, but for peace of mind I went ahead and did preventative maintenance and replaced the RMS, IMS, and AOS. My car is now rock solid and I have much better peace of mind driving it. Some folks on this forum feel the IMS issue is WAAAAY overblown and drive their cars over 100k without IMS issues. I'm very cautious by nature, so if I perceive a risk, I mitigate it right away. One other note, the statistics show the 2003-2004 model years with the single row IMS have a greater failure rate. That also played into my decision. Best of luck with your search; The Box is definitely worth getting and maintaining.